Electricity Generation Company (Egenco), the country’s main producer of power, has reported increased generation with a combined output of up to 280 megawatts (MW) from hydro and diesel-powered generators feeding into the national grid. The output represents an improvement in electricity generation which in recent years dropped to as low as 140MW against installed generation capacity of 350MW. In the past three years, local electricity consumers have endured long hours of power rationing which in 2017 hit a record 23 hours of no supply a day in many areas as Egenco and Electricity Supply Corporation of Malawi (Escom) attributed the prolonged hours to insufficient power generation resulting from low water levels in Lake Malawi and its sole outlet, the Shire River, where 95 percent of the hydro-power is produced. 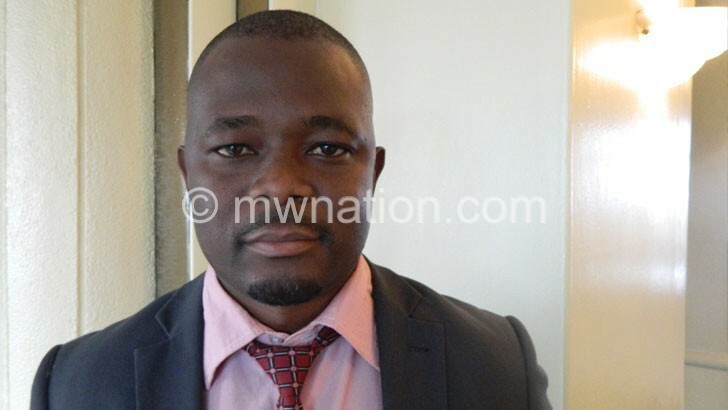 In an interview this week, Egenco spokesperson Moses Gwaza dismissed suggestions that the improved power supply consumers are currently enjoying is due to the end-of-year shutdown by most industries which consume more power. Instead, he said the improved power generation and supply is a result of the increased water levels in Shire River that is complemented by the recent commissioning of diesel-powered generators at Mapanga in Blantyre with an output of 20MW. Said Gwaza: “The current improved power supply is not temporary as other quarters are speculating. As Egenco, we are working to sustain the power generation for consumers. “Some are saying power generation will be affected by the increased debris in the Shire River, but I can assure you that we are not affected. What we did was to prepare well in advance to manage the situation, we trained our personnel and maintained the equipment that sieves debris [to prevent it] from affecting power generating machines. He said Egenco is producing about 230MW from hydro source and about 50MW from diesel generators, thereby making 280MW. In recent months, Egenco’s power output was pegged at around 180MW. 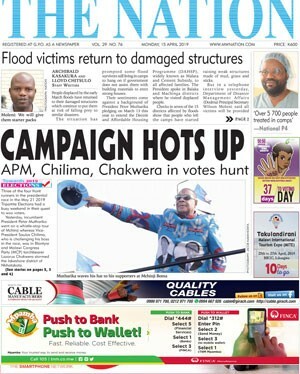 Gwaza’s sentiments echo an earlier upbeat position by Escom public relations manager Innocent Chitosi that power supply has improved. In the past week, most electricity consumers have reported improved supply as manifested by reduced hours of load shedding. In industrial areas such as Makata, Ginnery Corner and Maselema in Blantyre where Escom rationed supply on specific days of the week, filling the atmosphere with noise from stand-by diesel generators, consumers got uninterrupted supply. The development has also coincided with the tapping of 20 megawatts (MW) from Zambia to supply parts of Lilongwe, Mchinji and surrounding districts. But Consumers Association of Malawi (Cama) executive director John Kapito said in an interview that while power supply has improved with load shedding reduced from between six and nine hours a day to around two hours, the consumer rights body would take a wait-and-see approach before celebrating the same. He said: “If Egenco is saying that this improved power availability is not temporary then we say it is our Christmas Santa because it has happened during Christmas and it is unexpected. In the long term, Egenco said it was exploring construction of a 320MW power plant at Mpatamanga Gorge along the Shire River whose feasibility study the World Bank funded and a financier is being identified under the public private partnership (PPP) model. During the launch of a 60MW solar energy plant by an independent power producer (IPP) in Salima, President Peter Mutharika pleaded for more patience from Malawians hard-hit by unreliable power supply that has slowed economic growth and negatively affected service delivery in various sectors, including health. He said his administration was working on several long-term projects to improve power supply. The initiatives include diversification from reliance on hydro-electricity to other sources such as solar and Kam’mwamba coal-fired plant.